Is there more to expanding the scale of entrepreneurship than just growing sales volume? 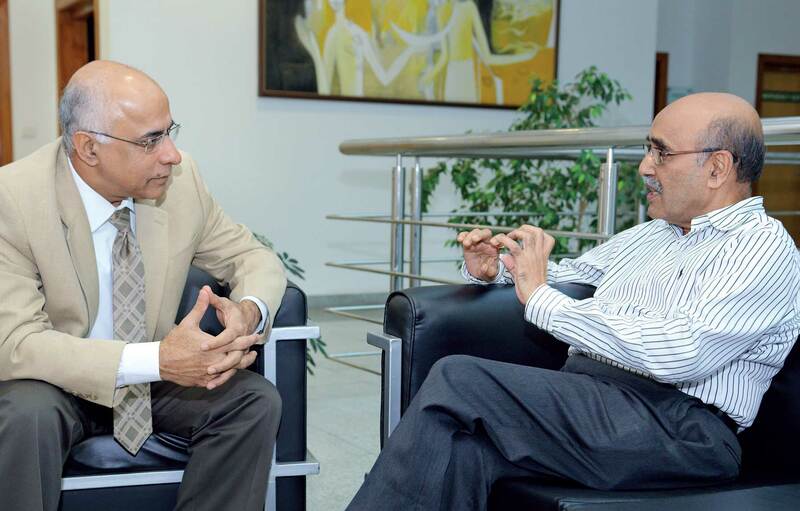 In this wide-ranging interview, Subroto Bagchi, Chairman and co-founder, Mindtree Limited and best-selling author of business books, including most recently, The Elephant Catchers: Key Lessons for Breakthrough Growth, speaks to Dr Krishna Tanuku, Executive Director of the Wadhwani Centre for Entrepreneurship Development at the Indian School of Business, about reputation, infrastructure, adversity and the people challenges of scale. Krishna Tanuku: When we talk about entrepreneurship in India, there are successful role models like yourself and there are organisations like Mindtree. There are new incubators, accelerators, all that. But in the context of India’s development, we need to create more than a hundred million jobs. We need a more equitable distribution of wealth. We need to address social and economic challenges through technology solutions at affordable prices. With that as the broader backdrop, what are your views on the challenges associated with scale? 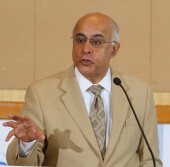 Subroto Bagchi: When India was moving out of the license raj into the first wave of liberalisation and then taking the baby steps towards globalisation, entrepreneurship seemed to be in short supply. But the fascinating thing is that in the last ten years, entrepreneurship has become widespread and accepted. People are looking up to entrepreneurs; entrepreneurs are becoming role models in many sectors. But I think the next big challenge for us would be to scale up. Entrepreneurship is quite pervasive now but scale is scarce. Looking at scale in terms of volume growth is one way. But when you think of sustainable impact, you need to look at the idea of scale from many different dimensions. In my latest work, I list six things we must do right in order to scale the organisations we create. First, we have to be comfortable with the idea of scale. The next thing is to change some things very visibly at points of inflection: these are usually the customer, the product or service and the way you deliver them. What brought you here will not take you there. The third aspect of scaling is intellect. People who scale their intellect, scale their organisation. The fourth thing is to recognise that in today’ world, reputation is capital and currency; organisations that want to scale, must scale their reputation, they need to reconsider the meaning of the term. The fifth thing is about people; we need to scale our people so that they, in turn, scale the organisation. Most small and medium companies get so focused on business and along the way, the need to scale for the founder-entrepreneur himself that they end up with a second-line that becomes second-rate over time. They become great rabbit catchers, they can’t rope in an elephant. Finally, organisations must know how to scale adversity so that they may scale over time. Tanuku: In addition to the people, you also need to scale the supporting environment and create the appropriate infrastructure to accommodate the scale. But I am talking about intellectual infrastructure and not just physical infrastructure. The fascinating thing about infrastructure is that you can’t use what you have not built. You can’t have just-intime infrastructure, whether it is physical, intellectual or emotional. First you have to invest in it. The second thing is that in the Indian context, we tend to be for whatever reason, minimalist in building any of these infrastructures. on top of that, you build the emotional infrastructure. You need a strategy to tie in all three. The fascinating thing about infrastructure is that you can’t use what you have not built. You can’t have just-in-time infrastructure, whether it is physical, intellectual or emotional. First you have to invest in it. The second thing is that in the Indian context, we tend to be for whatever reason, minimalist in building any of these infrastructures. Singapore city has been built on the opposite principle. For example, the highway connecting the city with the airport can be converted in an hour’s time into a second runway. You remove the flowerpots and a 747 jet can land and take off from there. Somebody thought about that. Now that is a maximalist view of infrastructure. You are anticipating. You are saying that this city-state should not get cut off from the rest of the world, should Changi Airport fail. Similarly if you look at the sewerage disposal mechanism of the city, now there are two pipes taking out treated water five kilometres into the ocean. But the pipes are held back on the ground so that some ship’s anchor does not interfere with them. More importantly the discharge pressure is designed taking into account the high tide pushing it back. Now that is a maximalist view of infrastructure. Tanuku: You also need to scale the reputation at the national and inter-organisational level. Bagchi: What we need to understand is that reputation is not a do-good, feel-good thing. Reputation in today’s world is tangible, something that you can trade and settle dues with. For a medium-sized company, building scale is never a cake walk. As I scale, I will make mistakes and some of those will be in the public eye. And when that happens, who gets forgiven and who gets a second chance is based on the reputation capital built over time. All other forms of traditional capital like money, machine and men can be reclaimed if lost. But if we lose reputation once, it is the most difficult to get back. Tanuku: What is the role of entrepreneurs in nation building? We need scale of leadership not within an organisation but at the national level. What do you see as the role of institutions like ISB or even research and development (R&D) institutions? The conversion of our R&D efforts into marketable products and services at affordable prices, or any price for that matter, even for the developing markets is dismal. Do educational institutions need to scale up and think differently in terms of building the character of the future leaders? Bagchi: As an entrepreneur you are taught not to get distracted. Even when the world is falling apart, you are supposed to stay focused on doing what you are doing. We have to do what we know best, which is building companies that will actually help India to change. A long time back, KRS Murthy came to speak to an audience of engineers at my invitation. He asked them some simple questions. He said: tell me the names of the last five Japanese prime ministers. Nobody knew. Then he said how many of you can tell me the names of five Japanese companies? It was a very poignant exercise. He said that he did not expect people to know the Japanese prime ministers. Japan is Japan today not because of its politics but because it went on to build great institutions. And a country will be known by the kind of companies it creates. So institution-building, keeping our enterprises and companies as a platform will be a great way to serve the nation, whether or not it will solve the large problem. What we need to understand is that reputation is not a do-good, feel-good thing. Reputation in today’s world is tangible, something that you can trade and settle dues with. For a medium-sized company, building scale is never a cake walk. As I scale, I will make mistakes and some of those will be in the public eye. Coming to your question about institutions like ISB, I think ISB today has become a respected platform. It has huge reputational capital and scale. But I think it can more amplify India’s success through dialogue and content creation. Consider companies like Suguna Chicken. It started as a poultry shop in Udumalpet, Tamil Nadu. Today, its turnover is Rs 5000 crores. It is an example of a company that could come from nowhere and scale. How many people know this story? How many people understand this as a management framework? Also how many institutions are capable of engaging with Suguna Chicken and take it from Rs 5000 crores to Rs 50000 crores? Suguna Chicken is not alone. The good thing is in tier II cities in Andhra Pradesh and elsewhere, there are countless such examples, whether it is Sri Krishna Sweets or Suguna Chicken or Seematti Silks. How can we amplify their stories, create case studies around them, actually make those case studies available to our own practicing managers, our own MBAs and not just in ISB but internationally as well? ISB today has the academic credentials and the respectability to help these companies take it to the next level. It is one thing to bring in a Mindtree or a Suguna Chicken or a Sri Krishna Sweets from nowhere to the current level of Rs 5000 or Rs 10000 crores. But anything beyond that will require a very different kind of handling. Tanuku: Also distilling or identifying what are the attributes so that others who are only at Rs 50 crores can actually become Rs 500 crores. Bagchi: Absolutely. The Confederation of Indian Industries (CII) is taking the message of scaling up to tier II cities. CII has a programme called Golden Top Companies (GTC 100). It aims to help 100 small companies become medium companies and 100 medium companies become large companies. The central theme of my work is to tell the Rs 50 crore company to not just look at scale as unidimensional volume growth. Today you will not be able to scale if you can’t scale your model, your intellect, your people, and your reputation. It is not about the technology, it is not about the management capability, the breakthroughs, the innovations and all that. Those are necessary conditions. But what is also required is the sheer capacity to hang in there. So how does an organisation build that? How do you build adversity handling capability across your organisation? The central theme of my work is to tell the Rs 50 crore company to not just look at scale as uni-dimensional volume growth. Today you will not be able to scale if you can’t scale your model, your intellect, your people, and your reputation. Tanuku: Today in the Indian context again, most companies do not spend enough on R&D. When I say R&D, it does not necessarily mean fundamental research but new innovations, new product development, new markets. On the other side, we have several hundreds of great institutions doing some great work. But very little of that is getting translated into companies. For scaling of innovation, what do you think companies should be doing? Bagchi: Innovation is eco-systemic. You can’t have innovative companies when you don’t have innovative education. You won’t have innovative education unless the society respects innovation. I will be a little controversial here. My take is that Indian society needs to have much higher respect for education and research. In the process, we trivialise research. The second important thing I am very concerned about is trivialising innovation. As a society, as students and teachers and entrepreneurs, we must build a long view of time. Research flourishes when you have a long view. Then people respect collaboration. People are not in a hurry to apply a Band-Aid and move on. In an analysis of Harvard’s success, author of What Works, Hamish McCrae quotes university rankings. For consecutive years, the top 100 universities in the world have one thing in common: they are all 100 years old. The point is it takes that long. It is a contradiction that India’s is a civilisation which is among the oldest, but today on every issue, our sense of time has suddenly crashed. Will my great grandson or my great granddaughter be proud to be an Indian? When that is the filter through which I judge my immediate action and thought process, the whole perspective changes. Tanuku: What are the two or three things that have actually brought you to this level of commitment and values on thought process and institutional building? Bagchi: We have a generational opportunity to take India and the world to the next level. This in itself makes me feel very blessed as an agent of change. I see myself as an instrument helping ordinary people do extraordinary things. 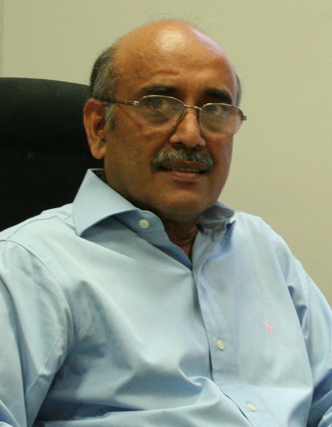 Chairman and co-founder, Mindtree Limited and best-selling author.